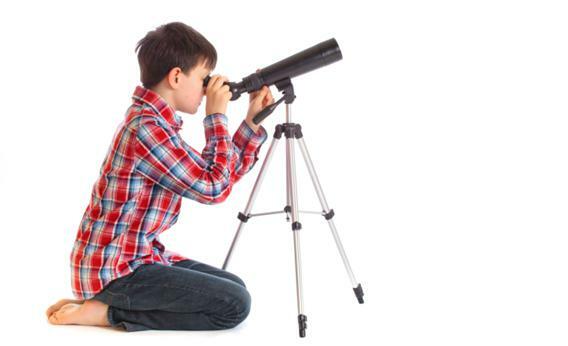 Bad Astronomy blogger on science education and why he became an astronomer. I became an astronomer because I looked through a telescope at age 5. More kids need to experience that joy. Read more from Slate’s special issue on fixing science education. Many years ago, on a crisp winter’s night, I stood in my family’s Northern Virginia driveway. Though I was 5 years old, I remember the moment with startling clarity. At my father’s urging, I walked up to a telescope, a cheap department store affair with a small lens and wobbly legs. I leaned over, scrinched one eye closed, and looked through the eyepiece. And it is no exaggeration, no hyperbole, to say that what I saw changed my life forever. It was Saturn. By the naked eye, it was just another yellowish star hanging over our neighbor’s trees. But that small telescope transformed it into a fantastic jewel, a tiny disk surrounded by a perfect and heartbreakingly beautiful ring, edges so sharp and crisp it was as if it had been carved out of ice. And literally, from that moment on, I knew I wanted to be a scientist. I’ll admit dinosaurs and astronomy were neck-and-neck for a few years, but the stars finally won. I’ve had a deep and abiding love for studying the universe ever since. Every astronomer—every scientist—I’ve talked to has had a similar “Saturn moment.” Whether it was looking through a microscope, going on a school field trip to a museum, or understanding some small but pure fact for the first time, they’ve all had that one moment of clarity when they knew science was for them. Former NIH scientist Paul Plotz describes a similar moment in Slate—for him, it was nearly blowing up his parents’ basement with a chemistry experiment. In the United States right now, science is under attack. In government, in schools, from religions. A large fraction of the American public is rejecting it. But what if we tried to make a Saturn moment happen for everyone? Of course, I don’t mean that all we need to do to create nation of science lovers is to provide such an epiphany. Not everyone will become instantly entranced as I did, and finding that one thing that brings science to life is no simple task. On the other hand, unfortunately, it is very easy to make sure a child does not love science. For that, any number of things will do: parents who don’t encourage their children to be curious or teachers who aren’t prepared to teach it. The best way to turn a kid off to science forever is to make her sit through endless lectures, forcing her to memorize fact, dates, numbers, and equations. That would squeeze the love out of anyone, replacing it with ennui at best and an active dislike at worst. There is no single cause for the decline of scientific education and understanding of science (at least in the United States), just as there is no single cure. It’s a complex, deeply intertwined problem with multiple roots and branches. I’ve worked with parents, teachers, specialists who study the science educational standards, and other professionals trying to fix the mess we’re in. I’ve also worked with kids themselves, testing out various methods of science education to see what works and what doesn’t. And I’ve found that what makes the most impact, the thing most likely to have a lasting effect, is not any one fact or any one picture or any one scientific concept. I love science. Love love love it. I love the universe and all the things in it, from the tiniest subatomic particles to the grandiose galactic superclusters. It all makes me slack-jawed in wonder, and I will happily and joyously share that feeling with anyone at any time, without feeling any nerd-shame. And it’s not just me. I’ve seen this exact same emotion in scientists giving public talks about their work, in parents sharing some simple science moment with their kids at a museum, in teachers smiling with delight when a student has a breakthrough and truly grasps a basic principle, whether large or small. There’s an old idea that if someone is passionate enough about it, you’d want to hear them read a gum wrapper out loud. People who are openly passionate about what they do are magnetic. We’re drawn to them and their enthusiasm. Breaking the cycle of unengaged children who grow up to be unengaged adults may be very difficult, but I strongly suspect that focusing on the pure joy of science might make a difference. We need to make sure that when we find that budding passion, we help it grow. Don’t crush it, don’t ignore it, don’t belittle it. Whether it’s in a child or an adult, cultivate it. That one person may share their newfound enthusiasm with dozens of others, maybe even hundreds or thousands, if the circumstances are right. We can’t expect kids to learn to love science just by sitting in a classroom every day, just as a child doesn’t become a lifelong bookworm by reading only assignments. Tomorrow’s scientists may discover their calling in the classroom, or in a museum, or out with friends, or any place science has an impact. And science has an impact everywhere. Even on a suburban driveway in Virginia in the 1960s on a cold winter’s night, when for a few seconds I was transported across the solar system, all the way to Saturn. Who knows where else a small moment of science might lead? Also in Slate’s special issue on science education: Make magazine’s Dale Dougherty on learning science by building rockets and robots; Fred Kaplan on why another “Sputnik moment” would be impossible; Paul Plotz on how nearly blowing up his basement helped him become a scientist. Also, share your ideas for fixing science education in the Hive. This article arises from Future Tense, a joint partnership of Slate, the New America Foundation, and Arizona State University.